Now is a good time to buy a new car. Rebates, financing, and trade-in values are the best they’ve been in a long time. The Invoice Price: Invoice price is what the dealer pays the manufacturer for the car; the manufacturer’s suggested retail price (MSRP, or “sticker price”) includes the dealer’s profit. Generally this is between 4 and 9 percent of the MSRP (cars are closer to 4% and trucks closer to 9%). With the exception of all-new or very popular models, you should be able to get a new vehicle for a reasonable discount in the dealer’s profit. Knowing the invoice price of your car will tell the dealer that you mean business and expect a good deal. Even better a transparent dealer will show you their margin and a reasonable profit that is fair without fearsome negotiation. Many buyers will qualify for multiple rebates, some of which may not be advertised. For example, many manufacturers have loyalty programs that will entitle you to a lower interest rate if you are trading in a same brand vehicle. Be aware of all rebates for which you qualify and make sure you receive them. Research the Dealers: There are a number of websites that allow people to post reviews of dealerships. Dealerrater, Facebook, and Google are the most common review sites in Canada. If you can’t find online reviews of the dealer you are considering, just talk to people. Your friends and neighbors purchase cars and should be honest with you about whether they were happy with their car or dealer. Your relationship with your dealer usually extends beyond just the purchase as you be relying upon them for warranty, maintenance, and repairs of your vehicle. Make sure that you choose a dealer who you are confident will look after you after the sale too. 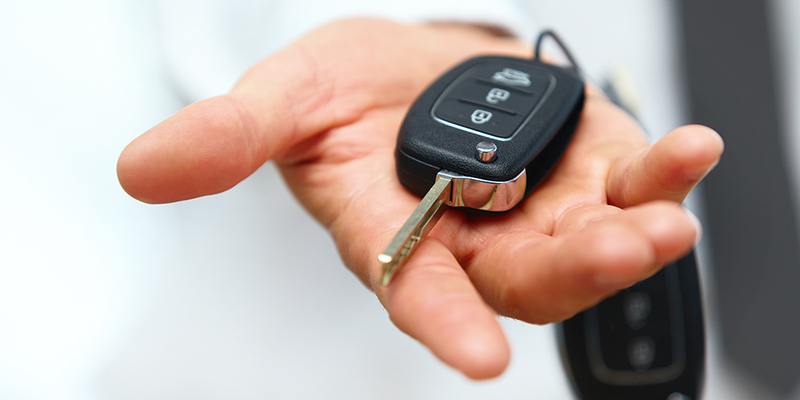 Check Your Credit History: Most people who shop for cars will need a loan. How much that loan costs will depend on your credit history, and knowing your credit history will give you a better idea what to expect from lenders. Get a copy of your credit report, and check it for accuracy. Pay the extra few dollars to get your credit score as well, as it is one of the major factors that banks use to determine your creditworthiness. In Canada, the two major personal credit reporting agencies are Equifax and TransUnion. Financing: Dealers are volume lenders and contract with a variety of banks to get the best rates available for you. Talk to their financing department as their rates are usually lower than if you were to speak to your bank directly. This is true on both new and used vehicles. Plus, most manufacturers have their own finance company and will usually offer a subsidized rate on both new and often used vehicles (in the case of a Certified Used Vehicles) sold by the dealer. Time Your Purchase: If you’re not picky about having the latest and greatest, the end of a model year is a great time to get good deals on remaining inventory. Buying a vehicle out of dealer stock can also save you money as they will incur costs in trading a vehicle in from another dealership. Buying a demonstrator model, service loaner, or test drive unit can also save you additional money. Do Your Homework on the Internet: Once you have narrowed your search to a few different makes and models, get price and payment quotes before you visit the dealership. Most dealerships will provide you with that information up front. It will be easier for you to get their best offer up front and can speed up the process. Make an Appointment with the Sales Manager: Once your research is done and you are ready to head to the dealership to purchase a new car, call ahead and make an appointment. By calling a sales manager to make your appointment, you communicate that you are serious about this transaction and know what you are doing. You will still be paired with a salesman when you arrive. There is no guarantee; pricing always varies with content, age, supply, and demand. But following these rules will start you in the right direction to get the best deal possible on your new car. Call us today at 403.226.0221 and book an appointment. These tips are brought to you by Honda West Calgary. Try Us On!